Not many things could be as painful as a bee sting. If you have been stung by a bee, you will testify to this fact. If you are stung by a swarm of bees, it could even be lethal. A child is more endangered because it takes less sting to harm a child than an adult. While this is enough reason for alarm, it, unfortunately, isn’t the only danger that a bee infestation poses to your home and family. While bees are a vital part of the ecosystem and the environment, you should not tolerate a beehive near or inside your house. A bee infestation puts you and your family’s life in danger. While a single bee sting could merely cause pain, irritation, and swelling, it could prove lethal to someone allergic. A swarm of bees could cause severe harm and even death. Some other painful symptoms of a bee sting to those allergic include vomiting, nausea, fainting and labored breathing. Bees can damage your structural elements integrity by the mere weight of a large beehive. Walls, chimneys, and roofs can all be affected. As the hives keep expanding the pressure can cause honey, waste products and melting wax to push through walls staining on painted and wallpapered surfaces. Ignoring a beehive by not calling in a beehive removal service could worsen the situation. The bee colony may split and form additional hives. It can attract more bees to build a hive in your house. 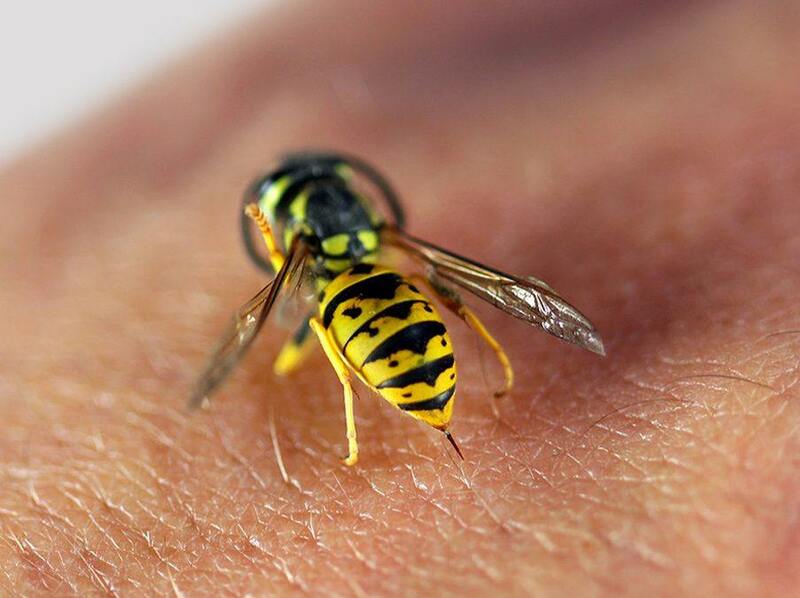 These situations can make bee removal more costly and very dangerous to you and your family. Best practice is to take instant action when you spot a beehive nearby or within your house. Bee colonies also give off a strong odor that invites other pests like rodents and insects to your home. When a nest becomes too crowded, they move to the nearest favorable location. If not dealt with your house will be filled with hives ceiling to floor. One hidden danger of a bee infestation in your home is the liability issues you face when a guest, neighbor or passerby is stung by a bee. If it is confirmed that the bee did come from a hive in your house, you can be held financially liable for damages. The only way of permanently exterminating the bees is through beehive removal. If you kill the bees, other bees will just come in to take their place in the hive. Beehive removal is a complicated process that needs to be handled with care. You need to call in a beehive removal specialist to do this task efficiently. You need a company with knowledge and experience in beehive removal services. At Beehive removal and Repair LLC, we have a team of professionals who are ready to pick up your call 24/7. All you have to do is to give us a call. We take customer servicing very seriously and put our customer’s satisfaction as our primary concern. You should contact us via 602-434-2408 today!